The historic Shelton House was built in 1875 for Stephen and Mahala Shelton by Henry Napoleon Francis a local wood craftsman from Waynesville, NC. It is currently listed on the National Register of Historic Places. 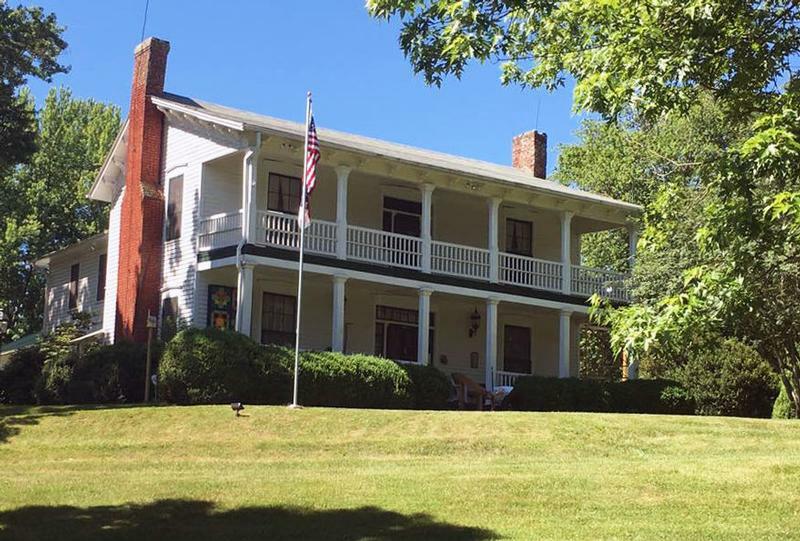 Situated on a spacious, shady knoll only three blocks from downtown Waynesville, The Shelton House has a rich and vibrant history. The first property in Haywood County to be listed on the National Register of Historic Places, the Charleston style farmhouse was constructed beginning in 1875 for Stephen Jehu Shelton and his wife, Mahala Conley Shelton. Today, the Shelton House museum, barn and the grounds recall the rural origins of the town and stand as a prominent representative of late nineteenth century agrarian prosperity in Haywood County and encompasses and promotes Western North Carolina History, Heritage, and Crafts. Special Events – Open Year-round. Museum Open April through October, Tuesday – Saturday, 11am-4pm.